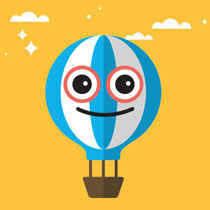 Looking for something fun and interesting to do in Ahmedabad? 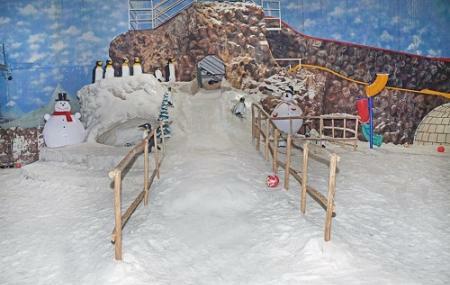 Head to the Maniar’s Wonderland Snow Park and check out the range of things they offer you there! It is actually the first snow theme park that Gujarat has ever had and is a popular place for tourists and folks to venture into. Even in scorching summers, you can always rely on this place that will serve as your personal winter and provide ample indulgence to keep you entertained. Of course, there are normal rides too that you usually see in other theme parks; which, we must agree, goes really well with its other snow-laden activities. To perfect the chilly ambience, there are artificial snow huts and numerous snow games like Aqua Roller, Aqua Ball, Traffic Island, Funny Cars and such. The list is endless and you can keep aside an entire day for that! Just make sure to keep enough woolly clothes with you! Ensure to carry some extra layers that will keep you warm. Adult: 220 INR Per Person. Children: 180 INR Per Child. Park ticket counter opens at 10:00am. How popular is Maniar's Wonderland? People normally club together Bhadra Fort And Teen Darwaja and Acropolis Mall while planning their visit to Maniar's Wonderland. Awesome place for entertainment. Here so many rides are available like Aqua splash,Aqua space,break dance rides,zip line,jumping jacks,Aqua Roller, cricket zone, fun house, wonder chair, joy train, buggy ride, sling shot, Columbus ride, masti planet, indoor and outdoor games etc. there are snow park is also available and 5D cinema is also available at that place so go there and enjoy a whole day to complete all the rides. Really it was amazing place. I think this become famous because of water park is only I Bhavnagar. This is very small water park. Which has less space less rides. And its tickets price is 500(not exactly). This my personal opinion about this place. Good Picnic spot near to Ahmedabad. Cricket Ground, volley ball ground, Rides for Kids and Main attraction is Snow park. Snow park extremely nice but rates are very high. Cricket ground is too small for cricket lovers. Rides maintenance not up to the mark. Water fun also lacking maintenance. Staff are very polite and co operative. Canteen facility also inside. If you want to enjoy snow park you will definitely have Fun. is right to all rides in just 220 Rs. Only?